Brand new Tutti-Frutti gel bursting with natural flavor. 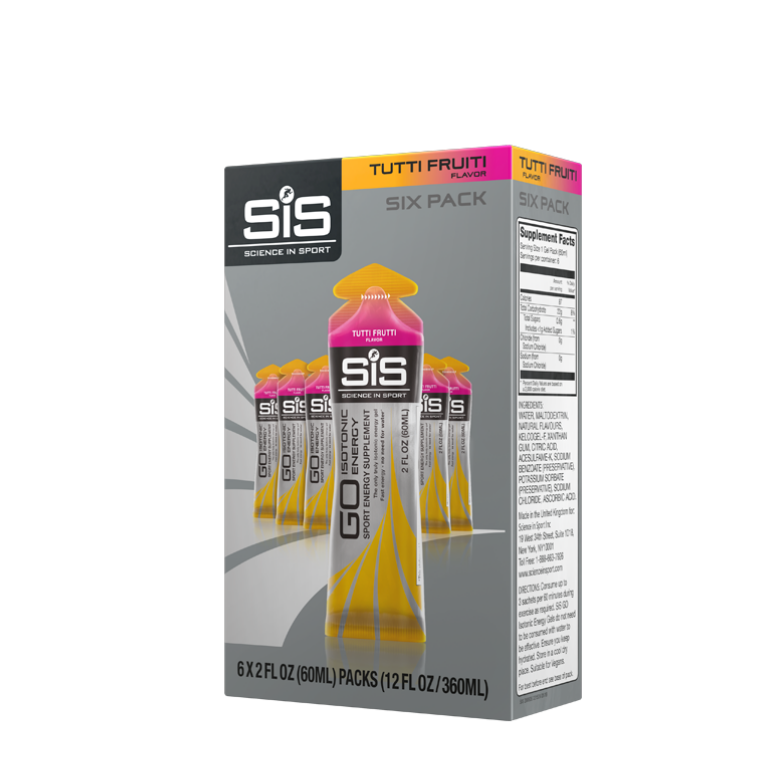 Tutti-Frutti flavored isotonic energy gel for fast, easily digested energy - 6 pack. 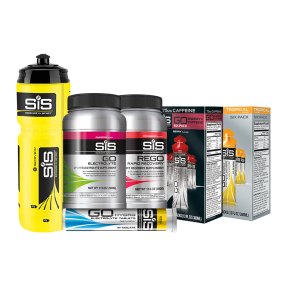 The GO Isotonic Energy Gel is the world's first isotonic gel effectively delivering an easily digestible and quick supply of carbohydrates for energy during exercise. GO Isotonic Energy Gels are designed to be absorbed fast into your gut, providing fast energy. Some solid foods can take a while to digest as there's more fat and fiber in whole foods, which during exercise can cause feelings of bloating and discomfort. The best tasting gel I've had so far. Easily digestible and gives a great boost after 30 minutes on a trail. great taste and does what it says it will do. This new flavor was great! I wish I had bought a second box. This is a very nice flavor. I like this flavor. All of the Isotonic Gels that I have tried have worked well and this is no exception. A little bitter aftertaste but not too bad. The gels keep you feeling great as your beating up your body especially in hot weather. Great product, a friend had me tryed qnd I ordered my box immediately after.